India in October: picture a landscape reborn with abundant blossoms and lush growth after the colossal monsoon rains. In the autumn, India draws visitors with its improved weather, its beautiful scenery, and its cultural festivities. This year October will also see the celebration of two major religious holidays, so time your trip to take in those one-of-a-kind experiences. It’s certain to be a trip to remember. This year, the holiday of Diwali falls on 23rd October – and there’s no better place to celebrate the Festival of Lights than in Varanasi. On the banks of the sacred Ganges and located in Uttar Pradesh, the city of Varanasi is one of the most holy sites in Hinduism, and festivities here are certain to be unparalleled. In the evening, the Ghats – the steps that lead into the Ganges – are filled with flickering lanterns and candles, while fireworks displays and performances illuminate the city. Once you’ve joined in the celebrations, be sure to save a few more days to explore all of Varanasi’s offerings. The chaotic and vibrant markets are thrilling to see, and there are an almost endless number of temples to discover. Cap off your journey with a boat ride along the Ganges to discover the secrets of this scared river. 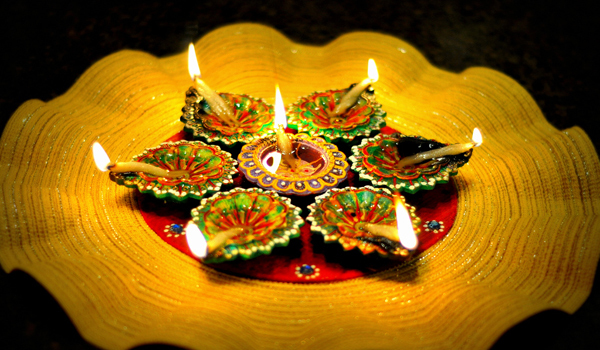 Diwali isn’t the only festival to captivate both locals and visitors during in India in October, however. 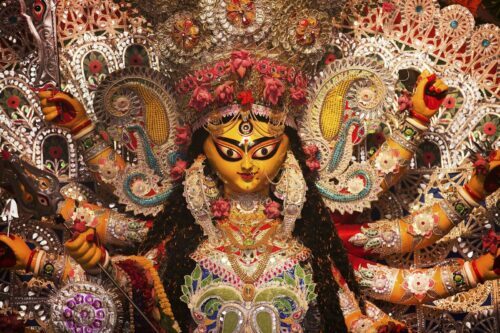 Dussehra is another major Hindu holiday that falls in the autumn. Held generally during harvest time, Dussehra has broad religious significance, but particularly honours the moment in the Ramayana during which the evil demon Ravana is slayed. 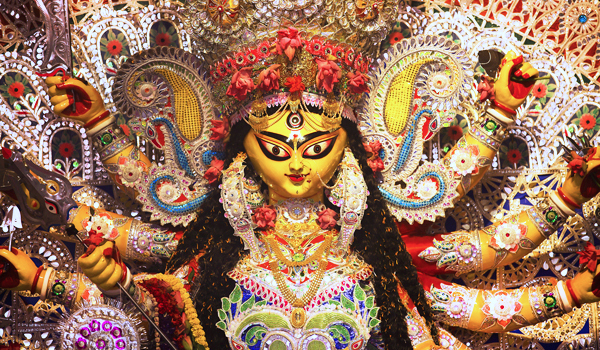 This year, Dussehra falls on 3rd October, and one of the best places to see it celebrated is the state of West Bengal (the holiday is generally local to the north of the country). Expect to discover re-enactments and performances that depict scenes from the life of Rama, with dancing and general revelry to follow. 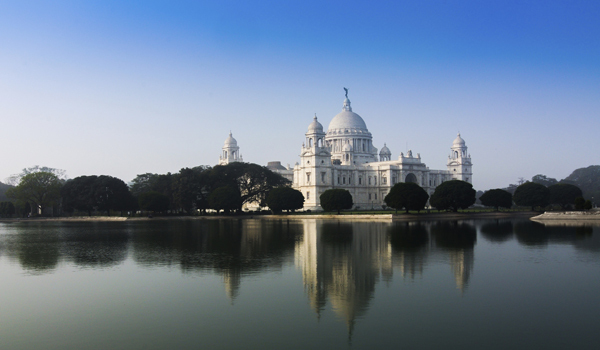 Once you’re in West Bengal, don’t miss the chance to explore the lively city of Kolkata. From the vibrant New Market, filled with fragrant delicacies, and the white marble, Taj Mahal-esque Victoria Memorial Hall, to the historic Indian Museum and the pretty Botanical Gardens, there’s much to see and do in this diverse state capital. Looking to flee the city for a rural escape? India in October is also the perfect moment, post-monsoon rains, to discover the subcontinent’s rich and diverse landscapes. One of the most popular retreats is Ranthambore National Park, which reopens to the public in the autumn. Located in southeastern Rajasthan, the park ranks among the largest in India, and will be newly verdant after the rains have washed through. 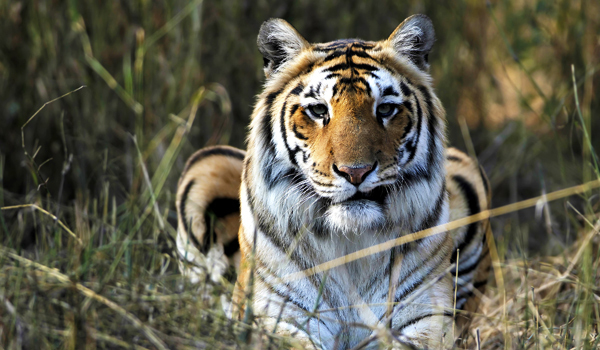 It’s also perfect for those with a love of wildlife: famously home to tigers as well as other exotic species, Ranthambore is best experienced during a multi-day excursion. The Sher Bagh Tented Camp is one great option for visitors, offering luxurious glamping accommodations and safaris – see if you can glimpse one of the big cats for yourself. 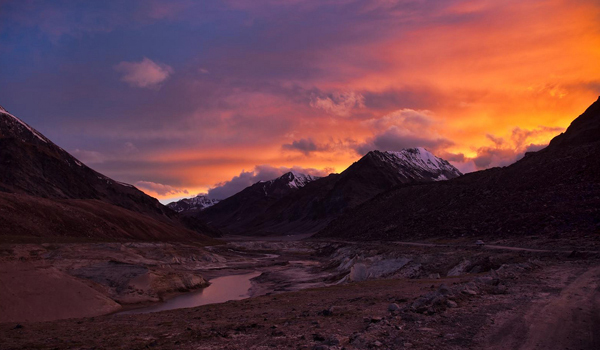 Finally, for those after a landscape that’s wild and remote – with incredible views besides – October is the last chance to visit stunning Kashmir before November brings with it snow and icy winter temperatures. Trek through Himalayan landscapes and explore lovely Srinagar: the glittering Dal Lake is not to be missed, while the city also hosts a number of lush gardens that date back to the Mughal era. Whether you’re seeking to celebrate or relax, trek or dive into a busy city, India in October is the perfect time to visit. You can read further about Uttar Pradesh in our article covering Agra and the surrounding areas. If planning a visit to Kolkata why not browse our itinerary Darjeeling – Sikkim; The Eastern Himalaya. If feeling like an inspiring trip around Kashmir you can view our itinerary; Kashmir, Heaven on Earth.